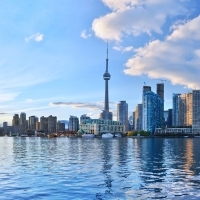 Just weeks after Ontario's Finance Minister announced that first-time home buyers would receive double the rebate on provincial land transfer tax effective January 1, 2017, the city of Toronto is in talks to "harmonize" its land transfer tax with the province's. The Toronto Real Estate Board (TREB) and realtors warn against this move. First-time home buyers are already cash-strapped and facing increasing competition as home prices continue to rise astronomically. Many homes are now selling for significant amounts over their initial asking prices. Toronto is the only city in Ontario that levies a municipal land transfer tax. The average property transaction in Toronto is followed by land transfer taxes of about $12,000 to $20,000 - significantly more if you have previously owned property. While this proposal is in its early stages, if it comes to fruition, it would counteract the province's attempt to lessen the burden on first-time home buyers. I believe we should scrap Toronto's municipal land transfer tax. What do you think? Leave your comments below.